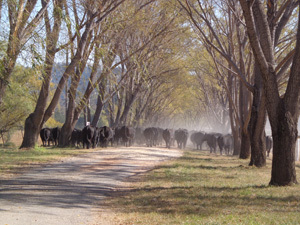 In addition to Gooree Park’s Stud and Wine operations, we also cultivate our own Wagyu cattle, as well as beef, sheep & cropping enterprises. Originating from Japan, Wagyu beef is increasingly gaining a reputation as the most tender beef in the world as well as a healthier option, due primarily to its mono-unsaturated to saturated fat ratio being higher than other beef. We also increasingly utilise our pastoral produce in-house, for horse bedding, animal feed and garden mulch inline with our ongoing sustainability commitments.